Front, rear, and two shots of the insides of the IPX. 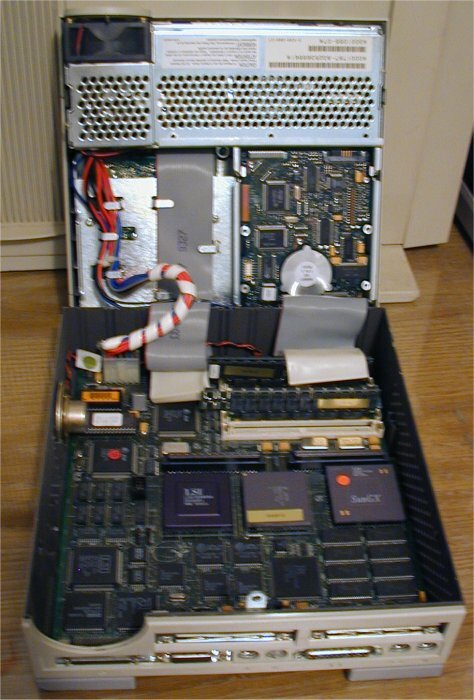 A 40mHz SPARC, floppy drive, 3.5" SCSI hard disk, the power supply and everything else. Code named 'Hobbes', on the topside of the mainboard is silkscreened a sleeping cat and a phone receiver. 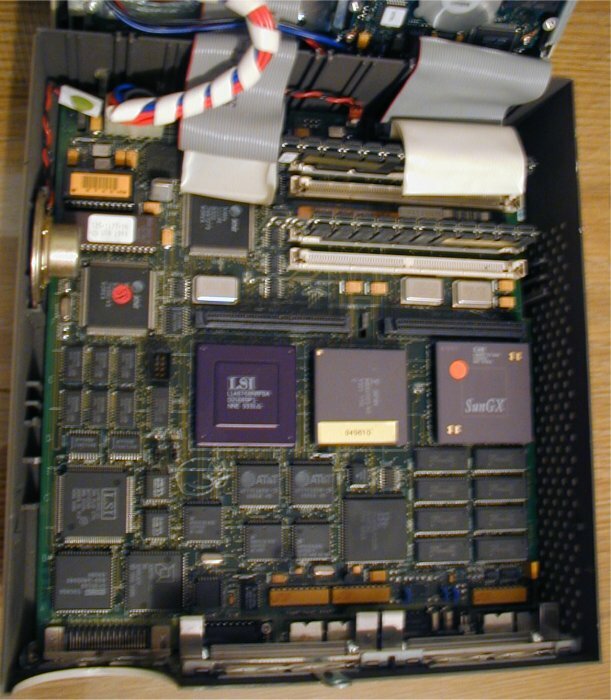 On the underside of the mainboard is Hobbes himself, a cartoon cat from the 'Calvin and Hobbes' cartoon strip. The IPX has an onboard GX-accelerated cg6 colour framebuffer, 2 SBus slots and can handle up to 64M of 72 pin SIMMs. My machine should work, and appears to boot - but I don't have a keyboard cable, even though I do have a Sun keyboard (To my 386i with its funky propreitary all-in-one cable that can't be used).